Get excited for our upcoming professional development event with Gale Mote!! 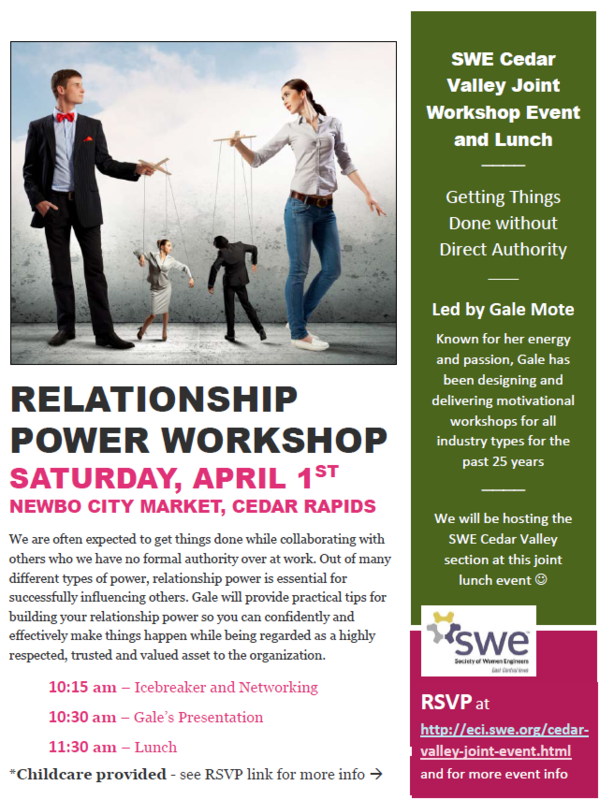 This will be a joint event with the Cedar Valley section over lunch at Newbo City Market! When: April 1st, 10:15 a.m.
Synopsis: At work, we are expected to get things done, make things happen and accomplish stretch goals with high levels of performance. Most of the time, we are collaborating with peers and colleagues with whom we have no position power or formal authority. While there are many types of power (position, information, expertise, reward, punishment, etc.) relationship power is essential for influencing others. Influencing is about getting your foot in the door, to get others to consider your point of view, adopt your plan or take action on a request. During her presentation, Gale will provide practical tips for building your relationship power as well as key strategies for influencing others – peers, colleagues, your own manager – so you can more confidently and effectively make things happen. As a result, you will build your reputation as a “go to” person who is highly respected, trusted and valued within the organization. When people come to Gale’s presentations and workshops, they usually leave with one key question, “Where does she get that energy?” For 25 years, Gale has been designing and delivering motivational workshops and training classes for all types of industry and organizations. Her firm, Gale Mote Associates, specializes in high performance work cultures, team development, emotional intelligence, front-line manager training and organizational development consulting. 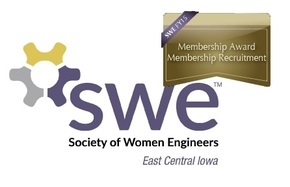 Her sessions are creative, energizing, participant-centered and get results! Note: There has been some feedback that childcare would be helpful at these events. We are willing to look into providing it if you indicate when you RSVP that you would use it. Please provide in the comments about what you may be looking for (the easiest will probably be a single childcare provider who will take the kids around the market and out into the park if the weather allows), and we will firm up details with those who want it. We will contact you to arrange details.